We all have goals. Just not always a clear path to get there. 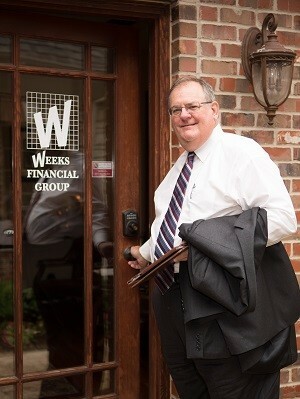 Since 1993, Weeks Financial Group has worked with clients to develop and implement meaningful financial strategies - no matter what stage of life. Our experience through various market cycles gives us a broad view with respect to our client's objectives - while focusing on managing risk, proper diversification and comprehensive planning. We value a personal relationship with each client and work to help better their lives by providing insightful plans, best-of-breed investment and insurance solutions and the ongoing support needed to stay on track. This includes regular reviews, industry leading technology, educational workshops/seminars and more. to help our clients achieve their financial dreams. Weeks Financial Group is not owned or operated by AXA Advisors or AXA Network.